How wonderful if we could all learn: To love without condition. To talk without bad intention. To give out without reason. 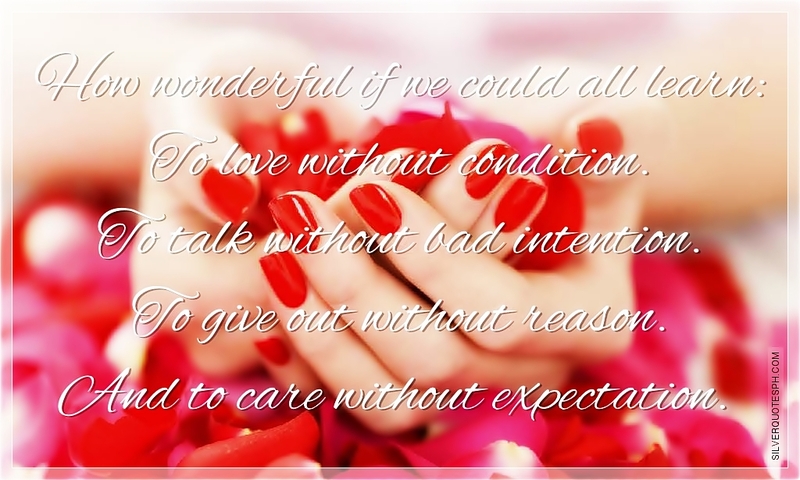 And to care without expectation.